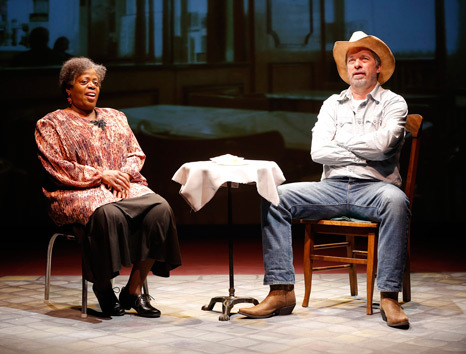 Jason designed the projections and sound for the Off-Broadway world-premiere of Texas in Paris at the York Theatre Company starring Tony Award winner Lillias White. He also designed the sound for the show's Paris production. Also for the York Theatre Company, Jason designed the sound for the one-man musical, Lonesome Blues. Other projection designs include ReVision Theatre's production of The Rocky Horror Picture Show in Asbury Park, NJ. With his wife, Becca Johnson-Spinos, Jason co-created the theatre company Outcry Theatre. He is currently the marketing director and a teacher there, as well as the resident sound, projection, and lighting designer. "Mr. Johnson-Spinos’ timed projections add an extra dimension to the Margo Jones playing space." "The best part of the set is the full, back wall projection screen where Jason Johnson-Spinos’ childlike drawings change with each scene transition."